Wet insulation is inefficient insulation and an indication of too much moisture in the crawlspace. 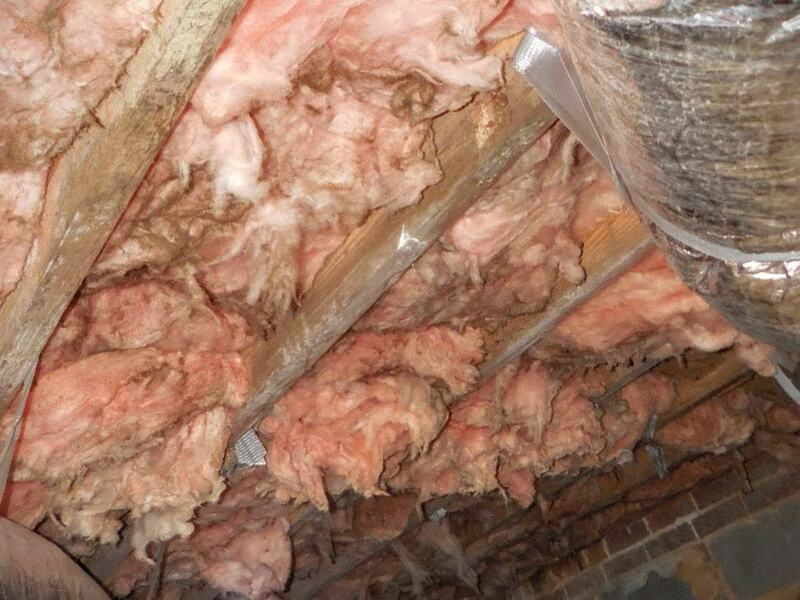 This insulation was wet at the time of inspection and its stringy appearance indicates repeated moisture – the weight of the water pulls pieces of the insulation down. There was standing water nearby from a washing machine trap that was damaged, emptying water from the washing machine into the crawlspace. A licensed general contractor should be consulted to repair the washing machine trap and replace the damaged insulation.